“Nowadays, the avant-garde is to be found in the bars of Buenos Aires and the clubs of Berlin but, not so long ago, it could be found in San Francisco. Before the tech bubble and Silicon Valley, the American youth were reuniting on the streets to create — carelessly and compulsively. 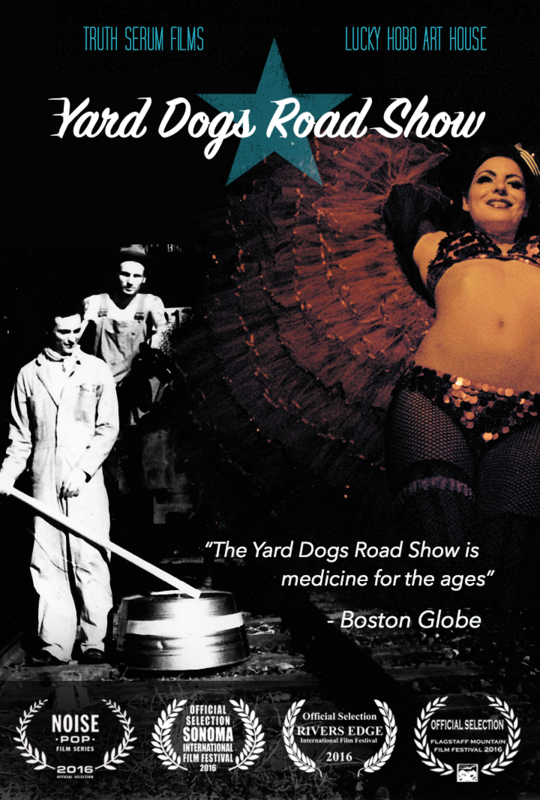 Out of this frenetic, exciting atmosphere emerged the Yard Dogs Road Show, a rag-tag band of counter-cultural vaudeville performers.” -> Full story here. “Even before they made music, Yard Dogs Road Show was an experimental film in the making. The band has always been a fusing of different forms of art and their eponymous documentary is no different. Regardless of success or intent or any way you want to credit or discredit a counterculture movement, the point remains the same. They truly did it.” -> Full story here. ​The story of how a gang of poets and musicians turned a pile of puppets into an international touring "vaudeville" show. In 1996 young writer Eddy Joe Cotton (Zebu Recchia) traveled from Colorado to San Francisco on a freight train looking for his next adventure. He found it in filmmaker Flecher Fleudujon and poet Miguel Strong. With the tech crunch still over the horizon the San Francisco underground was thriving. Their friendship blossomed out of cruising the streets in an old Ford Galaxie 500 and making short films of whatever life offered. While driving to Oregon they unexpectedly formed a jug band, which would evolve into an internationally touring "vaudeville" show. This is a bohemian journey that examines the lifestyle that inspires the art and the struggle between friends trying to manifest a collaborative vision. YDRS spawned one of the last authentic (pre-tech) art and lifestyle movements to come out of the San Francisco underground. This film follows this motion from its raw and reckless roots to its flowering as both a stage show and an iconic look and lifestyle. With appearances by Ken Kesey, Michael Franti, Bassnectar, Speed Levitch and members of Beats Antique.